November is family literacy month, and schools all over RSU 18 are getting into the spirit with fantastic events. Friday, November 2nd was character day at CPS. 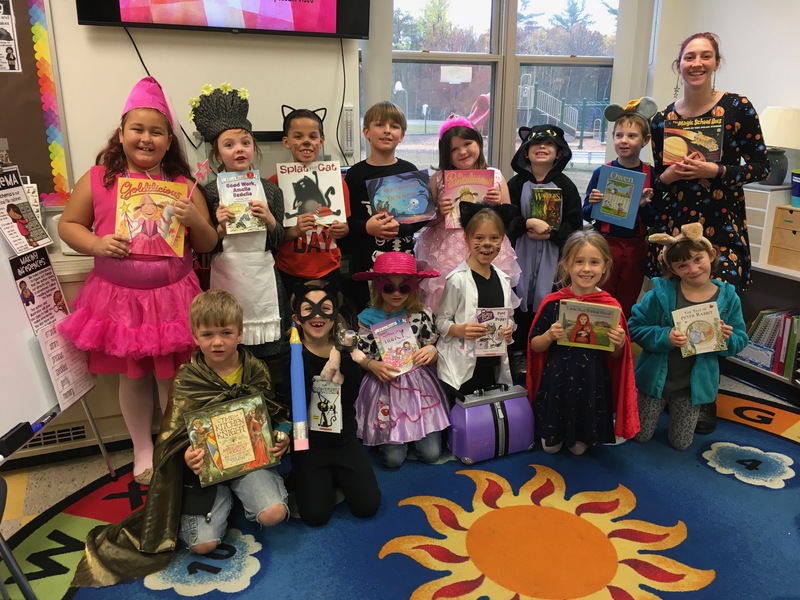 Students came in dressed up as characters from their favorite books. In preparation for the day, students filled out a form describing their character choice and the book that it came from. They created homemade costumes to wear and brought in a copy of the book for the day of the event. Stay tuned for more great literacy events around the district! Previous Messalonskee Players Present Chicago! Next MHS hosts El Dia de los Muertos presentation.